The city of Lake Wales was established near the lake in 1911–12, planned by the Lake Wales Land Company. The spelling Wales was used for the city, although the lake is still generally spelled Lake Wailes. Allen Carleton Nydegger, a Civil Engineer, was contracted by the Lake Wales Land Company to plot out the community of Lake Wales. He and his crew camped on the shores of Crystal Lake and spent months plotting out the new community. In 1925 the Atlantic Coast Line Railroad built a new line from Haines City joining lines to Everglades City. A depot was opened on this line at Lake Wales. The City of Lake Wales was officially incorporated in April 1917. The town lies near the geographical center of the Florida peninsula. 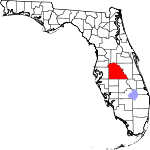 Lake Wales is located on the Lake Wales Ridge, a sandy upland area running roughly parallel to both coasts in the center of the peninsula. According to the United States Census Bureau, the city has a total area of 14.0 square miles (36 km2), of which 13.4 square miles (35 km2) is land and 0.7 square miles (1.8 km2) (4.71%) is water. Lake Wales is located in the humid subtropical zone of the (Köppen climate classification: Cfa). In 2004, the eyes of Hurricanes Charley, Frances and Jeanne all passed near the town. Virtually all physical damage has been restored. Grassy Lake Preserve is a 185 acres (0.75 km2) preserve located behind Janie Howard Wilson Elementary School. Grassy Lake is primarily made up of Lake Wales Ridge scrub land. Lake Wales, Florida has a commission/manager form of government. Five city commissioners are elected to serve two-year terms. Four of the commission members are elected by the citizens at large but must reside in the district represented by the seat to which they are elected and the other commission member is elected by the citizens at large to serve as mayor and can reside in any district of the city. As of the census of 2010, there were 14,225 people (2014 Estimate put the population at 15,140, according to the U.S. Census Bureau), 5,038 households, and 3,778 families residing in the city. The population density was 761 inhabitants per square mile (294.8/km²). There were 6,900 housing units at an average density of 344.5 per square mile (133.0/km²). The racial makeup of the city was 65% White, 27.5% African American, 0.50% Native American, 0.8% Asian, 0.10% Pacific Islander, 3.9% from other races, and 2.2% from two or more races. Hispanic or Latino of any race were 15.6% of the population. There were 5,038 households out of which 23.8% had children under the age of 18 living with them, 43.1% were married couples living together, 17.4% had a female householder with no husband present, and 34.7% were non-families. 29.3% of all households were made up of individuals and 14.4% had someone living alone who was 65 years of age or older. The average household size was 2.4 and the average family size was 2.92. In the city, the population was spread out with 26.5% under the age of 19, 6.0% from 20 to 24, 20.2% from 25 to 44, 24.2% from 45 to 64, and 23% who were 65 years of age or older. The median age was 42.1 years. For every 100 females, there were 88.7 males. For every 100 females age 18 and over, there were 81.1 males. The median income for a household in the city was $36,285, and the median income for a family was $47,785. Males had a median income of $33,896 versus $28,631 for females. The per capita income for the city was $16,106. About 20.8% of families and 26.5% of the population were below the poverty line, including 42.1% of those under age 18 and 7.9% of those age 65 or over. The commercial historic district in the heart of the old town contains important examples of architecture from the period of the Florida land boom of the 1920s. The district's tallest building, the Hotel Grand, has been boarded up for many years but has been purchased and is in the process of being restored. The Lake Wales Museum and Cultural Center is a history museum funded by a public-private partnership. It offers exhibits and artifacts from the pre-Columbian era to modern. Grove House, the visitor's center for the agricultural cooperative Florida's Natural (located across from the company's processing plant). Chalet Suzanne This attraction has closed. From Travelchannel.com, "Fun Things to do near Winter Haven"
US 27 - This divided highway leads northward to Haines City and Interstate 4 going north, and Frostproof, Sebring and eventually Miami going south. State Road 60 - Also known as Hesperides Road, it leads eastward to Florida's Turnpike and Vero Beach. Westward the highway leads to Bartow and the Tampa Bay region. Bus service is provided to Winter Haven and Frostproof by Winter Haven Area Transit. Lake Wales Municipal Airport (FAA LID: X07) is a public-use airport located 2 miles (3.2 km) west of the central business district of the city of Lake Wales in Polk County, Florida, United States. The airport is publicly owned. Chalet Suzanne Air Strip This single grass strip four miles north of downtown serves light aircraft arriving at the Chalet Suzanne Inn and Restaurant, a local landmark. Lake Wales is part of the Tampa/St. Pete television market, the 13th largest in the country and part of the local Lakeland/Winter Haven radio market, which is the 94th largest in the country. Lake Wales is home to twelve schools, six of which are charter, three of which are traditional public schools and three private schools. Dale R Fair Babson Park Elementary, Hillcrest Elementary, Janie Howard Wilson Elementary, Polk Avenue Elementary and Lake Wales High School were converted to charter status in the Fall of 2004. Edward W. Bok Academy Middle opened in the Fall of 2008 to create a seamless K-12 charter system. McLaughlin Middle School and Fine Arts Academy, Roosevelt Academy Of Leadership And Applied Technology School, and Spook Hill Elementary School are still traditional public schools. Lake Wales Lutheran School, Candlelight Christian Academy, and The Vanguard School are private. Lake Wales has several retirement villages. Some of them are outside city limits, but are considered to be part of Lake Wales, because it is the closest city. Tower Lakes and Tower Wood are on US 27. Saddlebag Lake Resort is Five miles east of Lake Wales. Nalcrest and Lakeshore, each 500 units, are nine miles east, and Indian Lakes is 20 miles from Lake Wales. These last four are located on Hesperides Road. There are also a few smaller villages and retirement parks in the immediate area. ^ Adams, William (1992). Historic Lake Wales. St. Augustine, Florida: Southern Heritage Press. p. 20. ISBN 1-881470-00-8. ^ "The Lake Wales Ridge: Ancient sands, diverse biota". Archbold Biological Station. 2010-09-24. Archived from the original on 2010-07-06. Retrieved 2010-09-24. ^ "About Lake Wales Government". City of Lake Wales. Archived from the original on 2014-07-01. Retrieved 2014-04-29. ^ "US Census". Archived from the original on 2016-01-14. ^ "Factfinder - US Census". 2010. Archived from the original on 2016-04-17. ^ "Factfinder US Census". 2010. Archived from the original on 2016-04-17. ^ "Pat Borders Statistics and History - Baseball-Reference.com". baseball-reference.com. Retrieved 7 April 2011. ^ "Wade Davis Statistics and History - Baseball-Reference.com". baseball-reference.com. Retrieved 7 April 2011. ^ "MarioGosselin.com - Bio". mariogosselin.com. Retrieved 7 April 2011. ^ "Red Grange". College Football Hall of Fame. Football Foundation. Retrieved April 7, 2011. ^ "Dominique Jones NBA & ABA Statistics | Basketball-Reference.com". basketball-reference.com. Retrieved 7 April 2011. ^ "Amare Stoudemire NBA & ABA Statistics | Basketball-Reference.com". basketball-reference.com. Retrieved 7 April 2011. ^ Dunn, Andrew (June 23, 2004). "Lake Wales Charter School Contracts OK'd". The Ledger. Retrieved 19 October 2011. ^ Carpenter, Maya (June 16, 2008). "Teachers prepare for opening bell; 92,236 students expected". Winter Haven News Chief. Retrieved 19 October 2011. ^ a b "About Lake Wales". City of Lake Wales. Archived from the original on 2011-10-08. Retrieved 2011-10-23. Wikivoyage has a travel guide for Lake Wales. This page was last edited on 8 January 2019, at 15:15 (UTC).